This impressive townhome is located in a desirable, well maintained & gated community. The striking 3 bedroom, 4 bath, light filled home features vaulted ceilings, plantation shutters, & newer paint throughout. Kitchen includes white cabinets, tasteful appliances, newer light fixtures & ample storage. Cozy up in the family room next to the tiled gas fireplace overlooking the fenced in Patio and open space. The relaxing Master suite features a reading nook and a large walkin closet. Newly updated Master bath features double sinks, new countertops, and tiled bath/shower. Additional upstairs bedroom could be used for a Study/Den or a Guest suite complete with their own bath. Basement has a spacious bedroom and 3/4 bath for their own privacy. 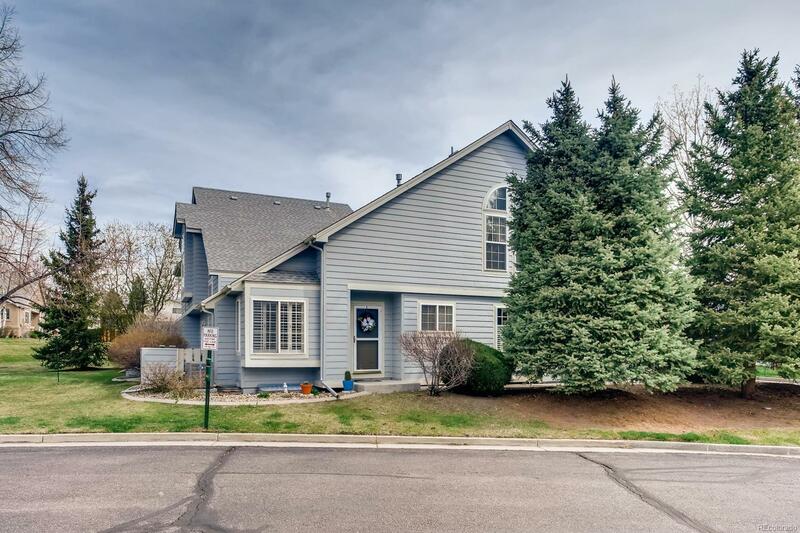 Close to shopping, restaurants with easy access to C-470 and 30 minutes from downtown Denver. Seller just installed new American Standard Furnace with high efficiency motor and Air Conditioning with 14.75 SEER rating with 10 year Mfg. warranty.